Back in August of 2017, the much anticipated 718 line of irons from Titleist became official. Introducing the world to AP3, which was a blend of AP1 and AP2 and fit into the growing popularity of the performance distance category. At that time we sat down with Josh Talge, VP of Marketing for Titleist Golf Clubs at TPI in Oceanside, CA for a complete rundown of the entire group. 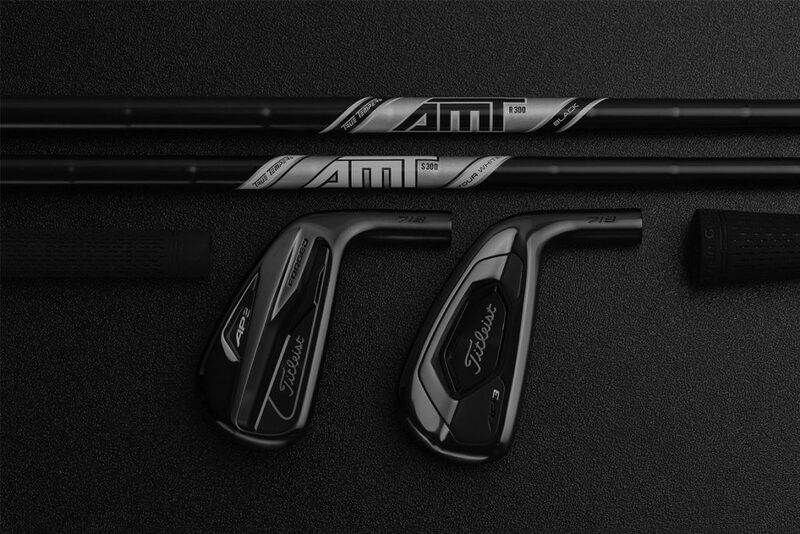 Fast forward to today and hitting stores in March, the company is releasing limited editions of the AP2 and AP3 with a sleek new finish sure to turn heads. 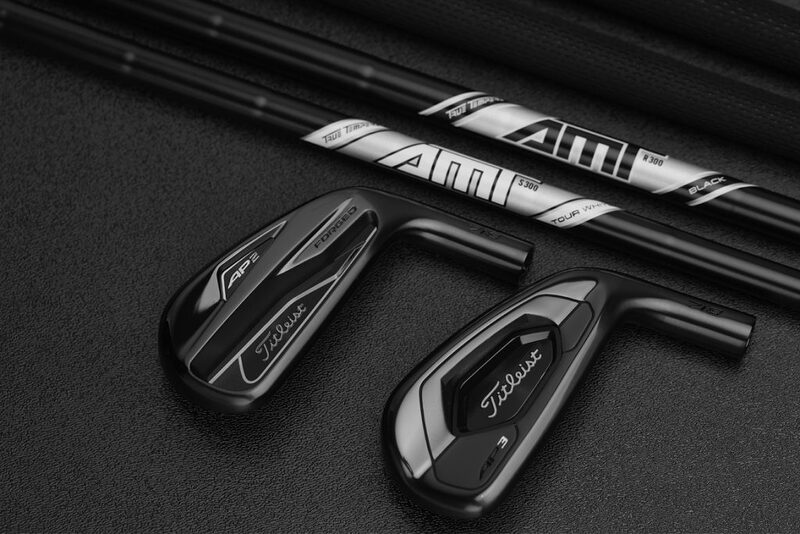 Bringing the creativity with the name 718 AP3 Black and 718 AP2 Black are finished with a high polish black PVD coating that really adds a different element to those that are used to the shiny look from the Titleist lineup. The “murdered out” look doesn’t stop with the club heads however. True Temper AMT Onyx shafts and an all black Golf Pride Tour Velvet 360 grip complete the set up. The first question on everybody’s mind is how will they wear? The answer is they will wear with play, and for those that have experienced the Jet Black finish on the SM7 wedges from Vokey, it will be similar. Definitely a different look, but they look good. I like the options, I’m a big fan of the AP2 series. It would have been nice for them to release in DBM as that material wears much slower. Playing the Cobra’s FTB Black for a year has really spoiled me when it comes to proper black finishes. Another funny piece. Really dig the Onyx AMT Black Shaft! They look sweet but that finish is going to wear quickly. Anyone have $1500 you can loan me? Not sure I like the black finish in the irons or not.